If you’re like us, you’ve fallen asleep on your share of memory foam mattresses at the mall, but Malouf Pillows ($75) are the next evolution in sleep technology. 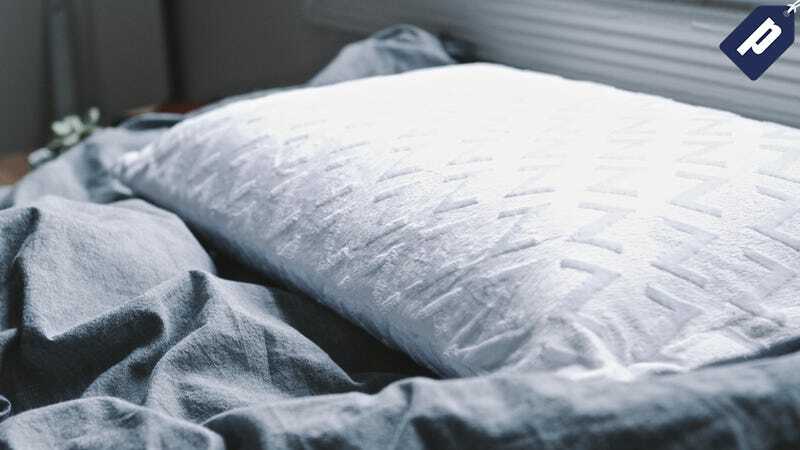 Built from its exclusive foam formulation, aptly named ‘Zoned Dough,’ the pillow cradles your head exceptionally well with its pin-core design. It’s firmer on the outside edge and softer in the center, so it contours to your head, neck and shoulders for a cozy, supportive sleep experience every night. Each Malouf pillow comes with a plush, cotton velour cover that’s hypoallergenic and easily removable for laundering.